Other symptoms can develop if the infection spreads from the lungs to other parts of the body. In the indoor environment, Aspergillus can be found in household dust, building materials, ornamental plants, flower arrangements, tobacco, food and water (Warris & Verwej 2005). Dispersal of fungal structures (spores, hyphal fragments) is impacted by activities such as construction, demolition, excavation, disturbance of dust accumulations during routine cleaning, water intrusion and moisture accumulation. In addition, aspergillosis outbreaks in healthcare facilities have been associated with contaminated air conditioners, air filters, particle board frames of air filters, air duct systems, ceiling tiles and fireproofing materials (Haiduven 2009). However, concentrations of Aspergillus spores have not been found to be correlated to any seasonal pattern or the occurrence of invasive aspergillosis (Hospenthal et al. 1998). Also, the relationship between airborne spore counts and infection risk has been difficult to assess because it has been impossible to relate a specific number of airborne spores to a quantifiable infection risk among patients, including highly immunocompromised patients. For this reason, the CDC has not provided recommendations regarding routine microbiologic air sampling before, during, or after facility construction or renovation, or before or during occupancy of areas housing immunocompromised patients (Weber 2009). 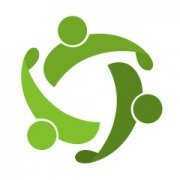 The CDC provides excellent on-line resources, including several publications with guidelines to managing infectious agents (http://www.cdc.gov/hicpac/pubs.html). Also, the mycotic disease branch of the CDC has a web page with relevant and updated information on fungal diseases (http://www.cdc.gov/nczved/divisions/dfbmd/mdb/). It is important to keep in mind that members of the genus Aspergillus are all free-living, saprobic species that can potentially become opportunistic pathogens (Bennett 2009). There is no evidence that these fungi derive obvious benefits from parasitizing humans, other animals, or that they have evolved to take advantage of living hosts. It is then reasonable to conclude that their ability to cause disease stems from their overall ability to survive under a wide array of living conditions. Then it is also reasonable to conclude that management of Aspergillus and the disease-causing members of this genus will remain an important issue in the management of environmental and clinical health in the future. Protect yourself from the environment.3,4 It’s important to note that although these actions are recommended, they haven’t been proven to prevent aspergillosis. Tissue and blood tests. Skin, sputum and blood tests may be helpful in confirming allergic bronchopulmonary aspergillosis. For the skin test, a small amount of aspergillus antigen is injected into the skin of your forearm. If your blood has antibodies to the mold, you’ll develop a hard, red bump at the injection site. Blood tests look for high levels of certain antibodies, which indicate an allergic response. Oral corticosteroids. The goal in treating allergic bronchopulmonary aspergillosis is to prevent existing asthma or cystic fibrosis from worsening. The best way to do this is with oral corticosteroids. Antifungal medications by themselves aren’t helpful for allergic bronchopulmonary aspergillosis, but they may be combined with corticosteroids to reduce the dose of steroids and improve lung function. Alternative treatments include lipid amphotericin formulations, posaconazole, isavuconazole, itraconazole, caspofungin, and micafungin. Prophylaxis against aspergillosis is recommended during prolonged neutropenia for patients who are at high risk for aspergillosis, allogeneic stem cell transplant patients with graft versus host disease, lung transplant recipients, and certain other solid organ transplant recipients under certain conditions.All antifungal drugs can have serious side effects, including kidney and liver damage. Interactions between antifungal drugs and other medications are also common. Surgery. Because antifungal medications don’t penetrate aspergillomas very well, surgery to remove the fungal mass is the first-choice treatment when an aspergilloma causes bleeding in the lungs. If you are at high risk for developing invasive aspergillosis (for example, if you’ve had an organ transplant or a stem cell transplant), your healthcare provider may prescribe medication to prevent aspergillosis.5 Scientists are still learning about which transplant patients are at highest risk and how to best prevent fungal infections. First-line treatment for invasive aspergillosis is voriconazole. Alternative treatments include lipid amphotericin formulations, posaconazole, isavuconazole, itraconazole, caspofungin, and micafungin. Prophylaxis against aspergillosis is recommended during prolonged neutropenia for patients who are at high risk for aspergillosis, allogeneic stem cell transplant patients with graft versus host disease, lung transplant recipients, and certain other solid organ transplant recipients under certain conditions. 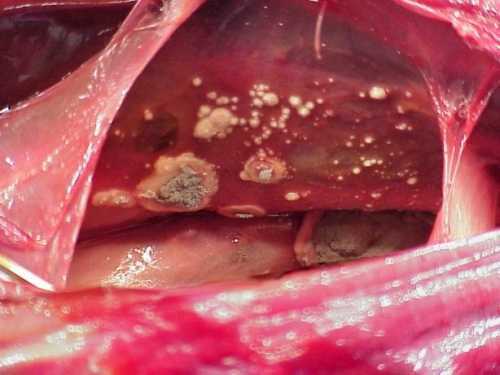 Treatment for aspergillosis include powerful antifungal drugs such as amphotericin B, triazoles (itraconazole and posaconazole) and echinocandins (caspofungin, micafungin, anidulafungin) (Stevens 2009). Problems with these drugs include the development of resistance, toxicity, and harmful interactions with other drugs. A good example of drug resistance is shown by A. terreus which consistently show decreased susceptibility to amphotericin B in vitro and in vivo (Baddley et al. 2003). On the preventative front, there is research work in progress to develop a vaccine that could provide protection against A. fumigatus, with promising results in laboratory mice. Aspergillosis usually occurs in people with severely weakened immune systems. However, several reports describe Aspergillus lung infections that caused death in previously healthy patients who were hospitalized for severe illness associated with influenza virus infection. The Aspergillus infections involved pneumonia or severe tracheobronchitis (infection of the lung’s airways) 1–3. A retrospective cohort study at seven intensive care units (ICU) in Belgium and the Netherlands found that invasive pulmonary aspergillosis occurred in 19% of patients with severe influenza requiring admission to the ICU. 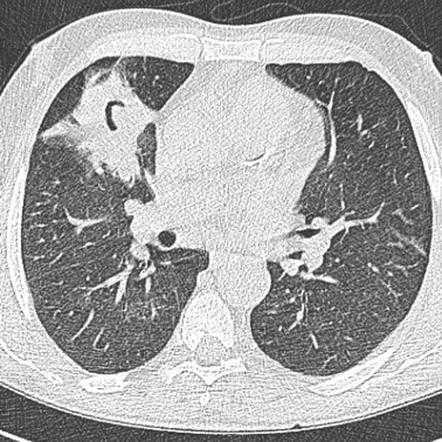 Approximately half of the patients with invasive pulmonary aspergillosis and severe influenza did not have an immunocompromising condition 4. Severe lung infections caused by influenza and other viruses can damage the respiratory epithelium (or lining of the lung). Some researchers suspect that this damage can allow Aspergillus to invade and cause infection 5. This process may be similar to how some bacteria, for example Streptococcus pneumoniae and Staphylococcus aureus, cause pneumonia in patients with severe illness associated with influenza virus infections. More research is needed to determine how commonly these types of Aspergillus infections occur among influenza patients with functioning immune systems and in those who are severely immunocompromised in countries other than the Netherlands and Belgium. Another question is whether previously healthy patients who have severe lung infections caused by viruses other than influenza virus get invasive aspergillosis.